Whether it’s SEM, SEO, or website design, there are a lot of Myths out there that just don’t hold up to testing so let’s tackle the top 19 right now. 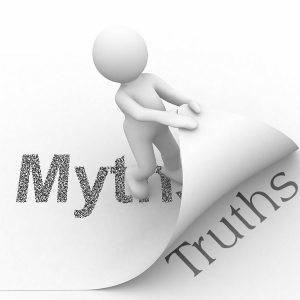 Keep in mind these myths are for service-based small businesses with the primary goal of generating leads. For e-commerce, current customer portals, forums, blogs and other types of websites the answers will most likely be different. You need to be #1 on Google. In reality, the cost/click to be #1 for all pertinent keywords is generally not cost-effective. The website’s goal is to get people to spend as much time as possible on it. For a service business the goal is to generate a lead and you have about 90 seconds to do that. Sites that get paid by showing ads have different goal including lots of time on site. But you’re not Facebook. You can save money by putting a phone number in your Google Ad. There’s plenty of proof that this a myth. Google only makes money when you CLICK on an ad so why would they even let you put a phone number in an ad if that meant they were going to lose money? They wouldn’t because they test these things. If someone claims this is true, ask for the proof. You need to invest in more traffic (SEO and SEM). For most websites you first need to invest in converting more visitors to leads. For instance, if your current website converts 3% and you bump that up to 4.5% that’s the equivalent of getting 50% more traffic at no extra cost. Our 2 best sites in March 2012 were converting over 8% online in their target market. The best way to increase conversion is with a better offer. This could be true however my testing indicates that this is rarely the case. When I create a site with multiple calls-to-action such as “contact us”, “schedule an appointment” and “special offers” almost always the “special offers” gets the least traffic. Other testing with half the site visitors seeing offers and the other half seeing no offers has shown promise. The point is, you need to test this to know what will work for you. A video on your website will increase conversion. Generally this is true, however a company that helps people reorganize their closets did tests on a lead-capture page with and without a video and found a 439% increase in conversion WITHOUT a video. Does this mean video is bad? Of course not. It just means that there are a lot of other factors to consider. You need to follow “best practices” to get the highest conversion. The bottom line is that there’s no such thing. 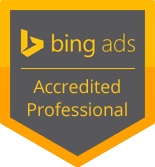 I’ve used the exact same website in the exact same industry in multiple areas in the US and got vastly different results. Sure there are things you absolutely don’t want to do (like riddle your page with typos), but overall, you don’t know until you test. A great website is all about great content. If you are Wikipedia, of course this is true. If you’re Bob’s Plumbing, then a great website is about giving the customer what he wants. His plumbing fixed quickly and at a fair price. He doesn’t need a video and step-by-step tutorial about how you’re going to do it. Remember, you only have 90 seconds. A website is going to cost me a lot of money up-front. This is an idea I seriously disagree with. Since great websites can’t be built, they have to be tested, then what in the world are you paying for up-front? A designer’s guess at what your visitors might want to see? Is that really a good investment? What works in one market for an industry will work in another. In other words, buying a pre-made website for your business doesn’t guarantee the best performance. Every market is unique because you have different income levels, education levels and competition. This basically falls under the category of “best practices” in #9 and they don’t exist. My website will some day be “done.” If by done you mean it’s now done improving so we’ll leave it alone and watch it’s performance decrease then I guess it can be done. Otherwise it’s about as done as regular maintenance on your service trucks. Stop servicing your trucks and they stop working. Same thing with your website. Testing and optimizing for a small business is just too costly. Our plans start at $299/month. That’s dirt cheap for the value you get. You’ll never be able to fully track or understand how your marketing generates leads. This is what I like to call the “we don’t want to be held accountable” sales pitch. The human mind is indeed a wonderfully complicated thing that we are just barely beginning to understand. However it doesn’t take a brain surgeon to figure out more visitors prefer Graphic A over Graphic B so chances are pretty darn good we’ll get a better response with our offline marketing if we also go with Graphic A. My business needs to be on Facebook, Twitter, Linkedin, 4Square and everything else. It only needs to be on social media if your customers are there and you know how to engage them regularly and professionally. It’s not easy. If you think your business could benefit from social media hire a professional. The best way to increase online leads is to improve my website and get more traffic. If you’re like most small businesses the absolute best way to increase sales is to do effective email marketing. A survey by Marketing Sherpa of over 1600 marketers agree with me on this one. My web designer should be able to understand what I’m saying. Do you have a well thought out Marketing RoadMap including a clear understanding of your target customer, her problems, and your solutions? Ok, then yes, he should get it. If not, make a Marketing RoadMap first. A website will grow your business faster than any other marketing. Of course this CAN be true. However all different types of marketing work and what works for your business in your market will require some testing and measuring. One study by Marketing Sherpa demonstrated that up to 67% of a website’s traffic can be driven from TV. A well laid out marketing plan, with your website at the core, is often your most powerful approach to lead generation as a service-based small business. P.S. If you are working with a website designer, print this out and use it as a cheat sheet when you interview him. Or just Contact Us for a comprehensive online marketing analysis.